Thank you to all the parents and staff who attended our January 9th Community Forum. Your comments and questions are appreciated. 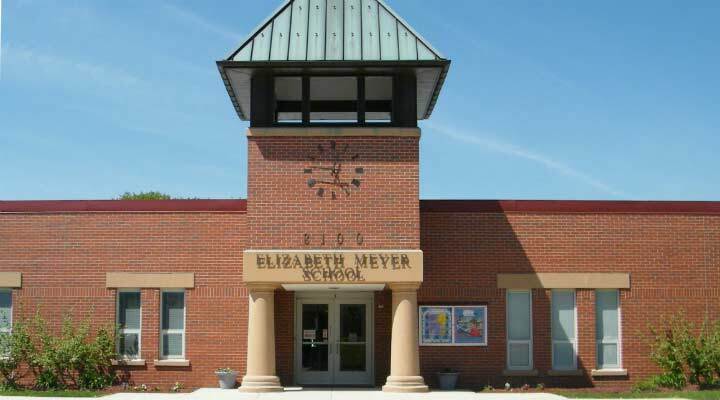 The administrative team and Board of Education have prepared responses, CLICK HERE to view. The Skokie School District 73½ Board of Education welcomes public participation to its monthly meetings. As your elected representatives to this policy-making Board, the Board of Education appreciates the community's interest and attendance. Attending Board meetings is an important way to learn about the accomplishments, concerns and needs of your public schools. This web page explains how the Board functions and how you can be a part of proceedings. 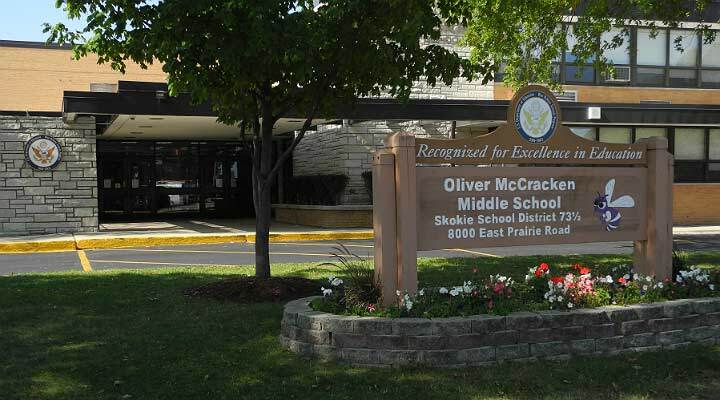 Board meetings are held on the second Tuesday of every month at 7:00 pm at McCracken Middle School, 8000 East Prairie Road, Skokie. However, because of holidays or for special purposes the Board occasionally meets on other days. Please check the school calendar or District website for the time and place of each meeting. The Illinois School Code, Board Policies, and Robert's Rules of Order, Newly Revised, are the parliamentary authorities for conduct of the meetings. The Board conducts all of its business in public except for closed sessions as permitted under State statutes. All Board meetings are open to the public except for closed sessions which the Board may call to discuss collective bargaining, negotiations, acquisition or sale of real estate, personnel matters, pending court proceedings involving the District or student discipline matters. Voting on all issues, including those discussed in closed session, is done in public. The agenda for each meeting is prepared by the Superintendent and reviewed by the Board President. Items on the agenda are grouped by individual actions, information items and new business. These items are considered by motions, which require voice votes or, if the commitment of funds is involved, roll call votes of the Board. Extensive background materials on agenda items are sent to Board members prior to each meeting. After examining these materials, Board members may obtain answers to questions and be prepared to efficiently and expeditiously reach decisions concerning the many items that come before them during the meeting. A Board meeting is a meeting in public and not a public meeting; therefore, participation by persons in the audience is designated at specific places on the agenda. When addressing the Board, individuals should give their name and address and, if representing a group, indicate the group represented. The usual time limitation to speak is five minutes for each individual or delegation. Statements from Visitors. At this time, the President of the Board will recognize members of the audience who wish to make statements to the Board related to agenda items. This portion of the meeting is generally limited to 15 minutes. Comments and Questions by Visitors. Just prior to adjournment, audience members will be given the opportunity to ask questions and have discussion with the Board. The Board will attempt to answer questions at that time to the best of its ability, but may need to refer questions to appropriate individuals for answers. Every attempt to obtain answers will be made within a reasonable period of time after the meeting date. No immediate action will be taken on an item introduced during this portion of the meeting, nor will personnel items be discussed in this format. The usual time limitation to speak is five minutes for each individual or delegation. Members of the public may propose items for the Board's agenda by submitting them in writing to the Superintendent at least four working days preceding regularly scheduled meetings. The Board reserves the right to determine the appropriateness of any proposed agenda item. Please note that although the Board welcomes participation at its regular meetings, issues or inquiries that relate to specific situation should be dealt with by contacting the teacher or staff member directly involved. If a situation is not satisfactorily resolved at that level, the principal should be contacted. If still unresolved, the Superintendent should be contacted. If still unresolved, the issue may be brought to the Board for review. If you have specific questions regarding Board policy or actions, please feel free to contact the Superintendent at the District Office at (847) 324-0509. You may also communicate in writing by addressing your letter to the Board of Education, Skokie School District 73.5, 8000 East Prairie Road, Skokie, IL 60076. You may e-mail the Board by drafting an e-mail and sending it to the Board of Education Secretary. All e-mails received will be forwarded to the Board. Please do not e-mail correspondence to Board members individually or to their personal e-mail addresses.